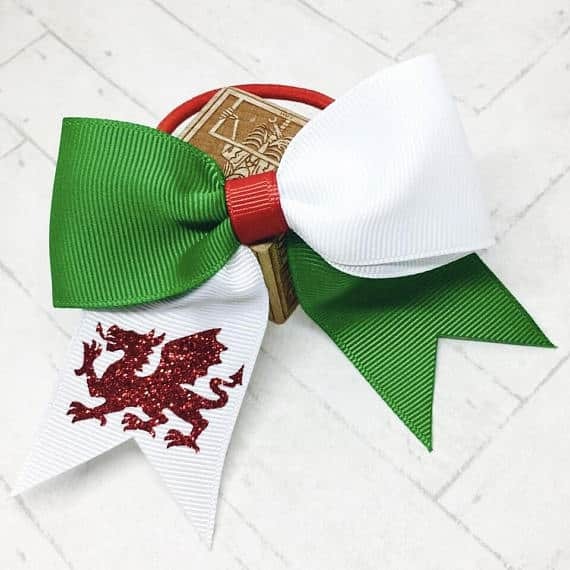 Show allegiance to your home country with the perfect Welsh bow in your hair! Red glitter dragon on green and white ribbons. Bow section approx 3″ (7.5cm) in width. Available in choice of 3 sizes of hair elastic.